English councils’ budgets for highways and transportation are set to take another major hit in 2016-17, with net expenditure falling by 10.6% compared to last year according to new official statistics. The £521m fall in highways and transportation budgets (from £4.9bn to £4.4bn) is the largest decrease in net expenditure of any sector in percentage terms and the second largest in monetary terms after education services. 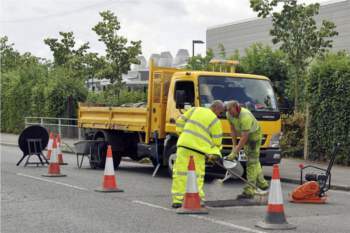 Officials at the Department for Communities and Local Government, which issued the statistics, said the funding drop was ‘largely driven by a decrease to the support to operators provided by local authorities’. They said expenditure under this category was budgeted to decrease £374m compared to 2015-16. The Greater London Authority’s revenue spending on Highways and Transport services has fallen by £327m. Officials again said that most of this reduction was ‘specifically due to a less being budgeted for support to operators’. Total revenue expenditure by local authorities in England is budgeted at £94.1bn in 2016-17, a fall of 1.4% compared to £95.4bn budgeted in 2015-16. Lianna Etkind from Campaign for Better Transport said: 'We're deeply concerned by the reduction in funding for local transport, at the same time as the Government is splurging tens of billions on grand infrastructure projects and new roads. It's funding for everyday transport, like mending potholes and supporting reliable bus services, which makes a real difference to people's lives.